We took Kavya on her first visit to California when she was a little over three months old, to Hawaii when she was under 2, and she’s always adapted to the local time pretty quickly. She sees sunlight and is down to just go with it. But time is usually on our side. Our visits being at least a few weeks long with some down time before she has to get back to a world of tedious routine. 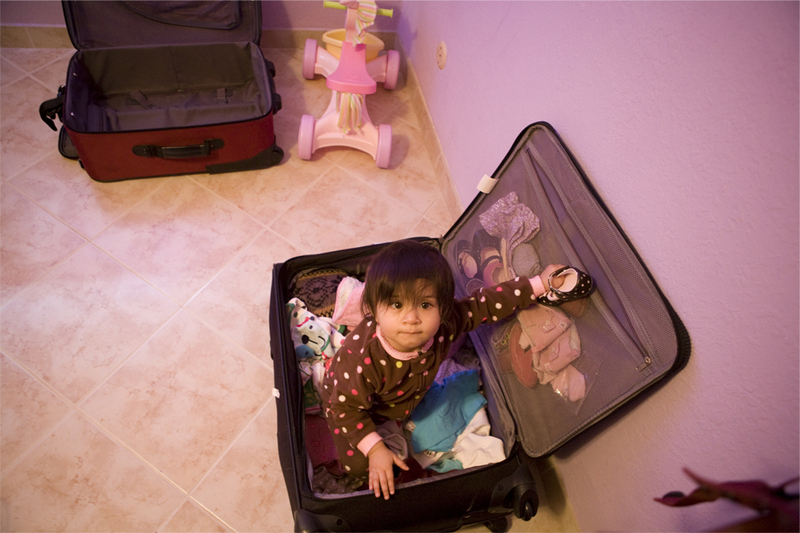 Our packing list often includes Kavya. Kavya is almost 4 and we’re in California to go on a family trip to Disneyland over thanksgiving. This is the shortest trip to California we’ve ever been on: a week. Usually we go during the summer or winter, so there’s more time for these adjustments. My birthday was the day before we flew back, and as soon as we arrived home in the morning, Sona had a full day of work at The Bump, I had a creative writing class to teach, and Kavya had a full day at school. It was the first time I felt absolutely knackered. Travel played a significant part in my childhood, and I’ve always considered jet lag a non-issue, an unsexy part of travel that you just have to deal with. Like filling your car with petrol, or buying a metro ticket. Nobody wants to hear about that. My parents’ strategy in dealing with jet lag, a system they still adhere to religiously is to pretend no time zones have been crossed. They adjust their watches to the local time and that’s that. If it’s 10pm in New York City or Beijing or Dodoma, they go to sleep. This is a much easier thing to do when you’re living in a place and have weeks to acclimate. But as kids, this would often not work for me and my sister on long haul flights. Mum and Dad would deny biology and science, and we’d be left questioning why we were wide awake at 2am in some country or other. It gave us a good chance to tell each other jokes from tall joke books I bought from Duty Free though. Like The World’s Worst Joke Book. And boy were the jokes rubbish. But the lights were always off and eventually we fell asleep and bright and early in the morning, Mum and Dad would get us out of bed for breakfast. Like a bunch of gangsters. 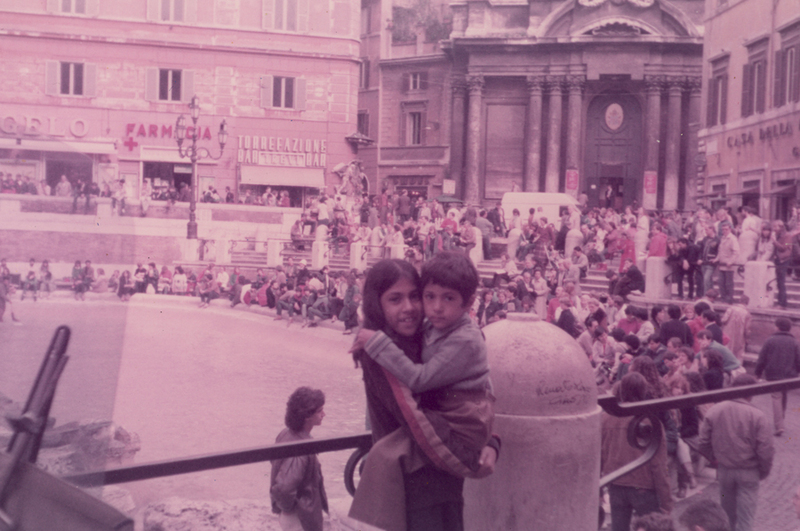 In Rome, I was all about the luxurious lifestyle. In the U.S. Navy, where I served for eight years, we were expected to be functional for a full working day, sometimes right after a long flight or getting off a cramped submarine or ship. It was the same as drinking the night before, no matter what we still had to show up for muster at 7am on the dot. When I first met Sona and we started traveling together, I found it really strange when she kept talking about time zones. It’d be pitch black and she’d remind me it was still daytime in New York, and show me the clock. It still takes me a few minutes to understand the point she’s making. Biology. Now, with kids everything is about strategizing, and ways to minimize jet lag by intentionally taking a red-eye flight so the kids sleep on the plane. We usually try to schedule in at least a few days of hang out time when we return to acclimate. But, it was my birthday, so we spent it in California using the one extra vacation day we’d allotted and dealt with the consequences when we got back. And boy were there consequences. Since the trip was only a week, the strategy we attempted to employ was to stick as closely to NYC time zone, so it would be an easy adjustment. Like butter! This whole jet lag strategy went up in smoke almost the second we arrived at my parents’ place. By any rationale, Kavya should have been tired and ready for bed. It was 11pm in California and 2am in New York. And Kavya was running about like a fully charged electronic toy. Sona loves calculating time differences and giving running commentary before the jet lag commences. It’s like she’s live tweeting the jet lag. Once she tried to gyp me out of a hot, aloo paratha breakfast our first morning in India because it was 11pm in New York. I had to seriously question my marriage vows. Aloo paratha is a very sacred thing. I mean, as are my marriage vows. All three of them. My Mum made me a cup of herbal tea from fresh peppermint she’s got growing in the back garden, out of an oven that stopped working. Kavya starts prancing about, first with the tauntingly titled game called, “you can’t catch me,” then demonstrated a series of yoga poses on the carpet for daadi-ma that she’ been learning in her yoga class at school. One of them is rooted in traditional Indian mysticism called The Table. Another is the bridge, under which a troll lives. The next morning, Kavya wakes up at 6:30 and demands to know why everyone else is sleeping and being “lazy bones.” She jumps around on the trampoline in the back garden and runs through the yard all day, barely pausing, so by 6pm she is out cold, which is 9pm New York Time I quickly calculate. Operation Jetlag is going splendidly. She wakes up at 5:30 am the morning after that. In the evening, my sister and Kavya’s cousins come over and everything goes to hell. Since they’re close in age, they start yapping it up, playing all day, and at night they lie in bed together, having one giant slumber party, where nobody goes to sleep until there’s been a lot of drama with accusations of pushing, not listening, the improper telling of a story, and other such matters of great import. As we say in England, it’s difficult. Lemon difficult. Sometimes when life gives you lemons, you just have to chill out and let jet lag do it’s thing. It’s a saying. Look it up. Riveting Post on Just Getting To The Airport For Our New Orleans Adventure!